My name is Lottie and I’m 10 years old. I absolutely love my hair and have had it trimmed only 5 times since I was born. But this year I have decided to have it cut shoulder length on July, 20 th 2018 . Saksham Foundation in Delhi, India which is a Charity Organisation who help many children get an education which I support fully. 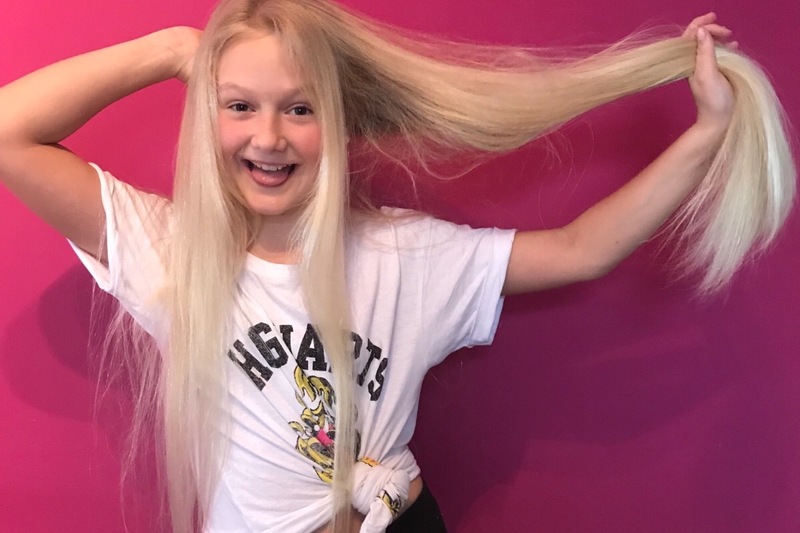 Once my hair is cut I also intend to give it to The Little Princess Trust so a lovely wig can be made and donated to someone suffering from cancer. I am thinking of having a live stream of the hair cut on the day so watch this space! In the meantime Thank you for your generous donations. PS: Sandra here, Lottie’s mum. I will also be having my hair cut on the day and for those of you who know me you will know what a big deal this is for me as I absolutely love my hair!